For all its focus on user-friendliness, Apple loves its jargon. But it’s not the standard jargon you’ll see in hardware reviews or database tutorials—it’s Apple’s own brand. You’ll find oddly-placed capital letters and trademarked monikers throughout your iPhone’s software. If you’re wondering what it all means, you’re in the right place. iOS is the name for your iPhone’s operating system, like Windows on a PC. It was previously known as iPhone OS when Apple introduced the product in 2007, but it became iOS with the release of the iPhone 3G. You’ll usually see it followed by the version number, like iOS 12 or iOS 11.3.1. The name of Apple’s own internet-based data services. 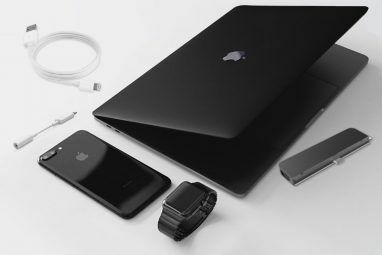 iCloud is an umbrella term used for all such technologies provided by Apple, including storage service iCloud Drive, password management system iCloud Keychain Should You Use iCloud Keychain to Sync Passwords on Mac & iOS? Should You Use iCloud Keychain to Sync Passwords on Mac & iOS? If you primarily use Apple products, why not use the company's own password manager completely free of charge? Read More , iCloud Backup, and the web interface at iCloud.com (shown above). You’ll probably need to buy some storage space Is It Finally Time to Buy More iCloud Storage? Is It Finally Time to Buy More iCloud Storage? Now that iCloud storage costs considerably less than it used to, it might be time to upgrade beyond 5GB. Read More if you want to use iCloud for anything serious. Your iPhone’s virtual assistant. Press and hold the Home button to talk to Siri. You can ask all sorts of questions and control your smart home gadgets, plus much more. Turn on Siri and adjust the various settings under Settings > Siri and Search. A proprietary payment system that uses card credentials stored in the iOS Wallet app. Simply open the app, tap Add Credit or Debit Card, and follow the instructions to add your card. This allows you to pay for items at point of sale terminals using your phone, but you can also use it to pay for items on your Mac too. Note: Apple Pay availability will differ based on your location and financial institution. Your iPhone’s personal hotspot allows you to share your internet connection with other devices, either via Wi-Fi, Bluetooth, or USB. You’ll find the feature under Settings > Personal Hotspot. Check out our guide to setting up and sharing your iPhone’s data connection for more info. Two forms of biometric authentication, using either your fingerprint (Touch ID) or facial recognition (Face ID) to unlock your device, purchase items, and more. You can set up these features, disable them entirely, or re-scan your digits and face under Settings > Touch ID/Face ID and Passcode. A means of quickly adjusting settings, media playback, and other handy features by swiping up from the bottom of the screen. Customizing Control Center is just one of the many super useful iPhone shortcuts you should learn 12 Useful iPhone Shortcuts You Didn't Know or Forgot About 12 Useful iPhone Shortcuts You Didn't Know or Forgot About Want to be more productive with your iPhone? These iOS shortcuts help you get around your iPhone faster than ever. Read More . Apple’s proprietary local streaming technology for displaying video, playing audio, and mirroring your screen on a TV or external speaker. AirPlay receivers include devices like the Apple TV and HomePod, or third party apps like AirServer Combine AirPlay and Google Cast With a Mac Mini and AirServer Combine AirPlay and Google Cast With a Mac Mini and AirServer Want to stream via AirPlay, Google Cast, and more with just one device? This dream setup is possible with a Mac mini and AirServer. Read More on a computer. Flick up to show Control Center, then 3D Touch or long-press the Music panel and choose an output. A wireless method of transferring files locally. You’ll see a list of AirDrop recipients appear when you try to Share content (see below). To change your own AirDrop visibility, swipe up to reveal Control Center, then 3D Touch or long-press the Airplane Mode box. Apple’s proprietary VoIP calling protocol that works with other Apple devices. Allows you to make free voice and video calls to other FaceTime users, accessible either via the FaceTime app or by choosing one of your Contacts and tapping the FaceTime Video or Audio button. Apple’s proprietary messaging protocol. If you’re chatting with someone and their name or your chat bubbles appear blue, you’re using iMessage. The service only works between Apple devices (including Mac computers), and can be used with iMessage apps to send money, play games and more 12 Cool Things You Can Do With iMessage Apps for iOS 12 Cool Things You Can Do With iMessage Apps for iOS You can do a lot more than simply send text, voice, picture, and video messages with iMessage. Read More . A name for the integration of your iPhone into the dashboard of your car. Setup instructions are slightly different depending on what you drive, and can function via USB or Bluetooth. Once CarPlay has been configured, you can use Apple Maps for navigation, talk to Siri, take calls, play music, and more. Allows you to “hand off” iOS apps to their macOS counterparts in real time. Examples include drafting an email on your iPhone then finishing it on your Mac, quickly sharing tabs between devices, and automatically resuming a Pages document in the same place. This feature works both ways; double tap the Home button to show the app switcher and continue what you were doing on your Mac. A portmanteau of animated emoji, Animoji is an emoji onto which you can map a facial expression. 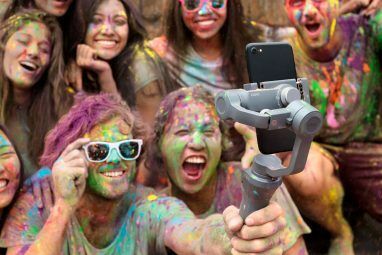 It’s currently an iPhone X-exclusive feature since it relies on the True Depth camera used for facial recognition. Just like f.lux, Night Shift adjusts the hue of your screen at the end of the day to mimic the setting sun and promote better sleep health Can F.lux and Night Shift Really Improve Your Sleep Habits? Can F.lux and Night Shift Really Improve Your Sleep Habits? Excessive use of computers, tablets, and smartphones can lead to deteriorated sleep quality -- but do apps like F.lux and Night Shift really counteract those effects? The science is pretty clear on this. Read More . You can schedule Night Shift under Settings > Display & Brightness, and toggle it on or off by swiping up to reveal Control Center then 3D Touching or long-pressing the Brightness slider. A feature that mutes incoming calls and notifications between hours of your choosing, with exceptions for favorite contacts or repeat callers. Stops your iPhone lighting up on the nightstand without turning it off completely, while still ensuring you’re contactable in an emergency. Set it up under Settings > Do Not Disturb. The Safari browser’s own “read it later” function, which syncs automatically with its Mac counterpart. Hit the Share button and choose Reading List to add a link to your list, where it will be cached offline for later perusal. Apple’s smart home API, which allows smart home devices like the HomePod and Philips Hue talk to each other. You can control HomeKit devices using your iPhone’s Home app, which comes pre-installed with iOS. Apple’s health and exercise APIs, used to store data for use by the Health app. Apps like Strava and RunKeeper use HealthKit to record workout information. Health-related research APIs, allowing you to take part in scientific studies using little more than your iPhone Take Part In Medical Studies With Your iPhone & ResearchKit Take Part In Medical Studies With Your iPhone & ResearchKit Researchers have long been searching for the perfect way to track the health statistics on a large scale and your iPhone may be the solution they have been looking for. Read More . 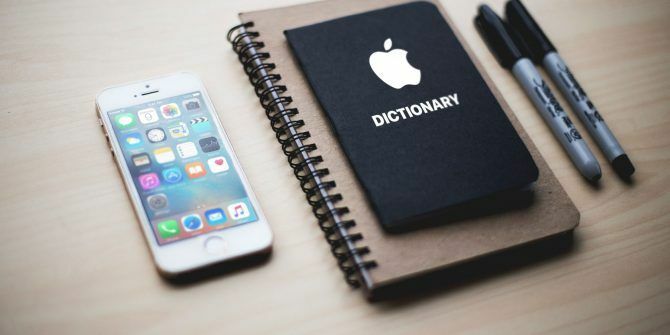 Apple’s love affair with aesthetics and proprietary technologies has given way to a glossary of Apple speak, and it’s almost certain that we’ll see a few more terms introduced when the next version of iOS and a flurry of new iPhones Is There a Right Time to Buy a New Mac, iPhone, or iPad? Is There a Right Time to Buy a New Mac, iPhone, or iPad? Apple is known for sticking to fairly rigid release schedules, which leads many to believe there are right and wrong times to buy Apple products — and it's easy to see why. Read More arrive in the fall. If we haven’t covered a particular term you’d like to see listed, leave a comment below and we’ll add it to the list. Explore more about: Apple, iOS, iPhone. How to Use Snapseed: 10 Tips for Better Snapseed Photo EditingWindowed, Fullscreen, and Borderless Modes: Which One Is Best?